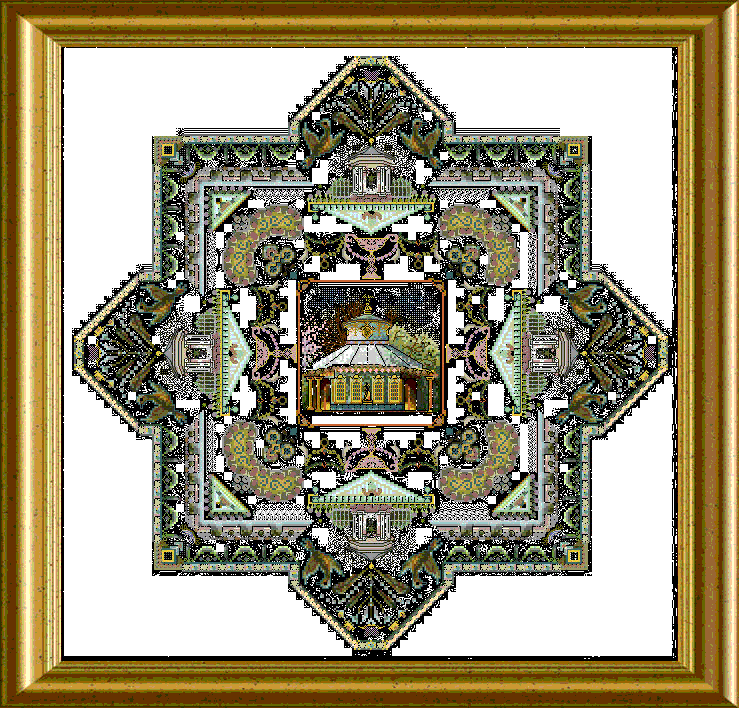 The famous Potsdam Teahouse is the very center of this Mandala, which shows Classizism Motives, Ornaments and Colors all over. 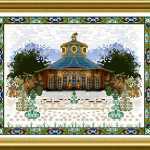 With a base of cross stitches you will add lots of Special Stitches in beautiful and diverse threads. Embellish with beads and crystals to recreate some of the regal splendour of this time. This piece comes in one part as it was published as online class back then. 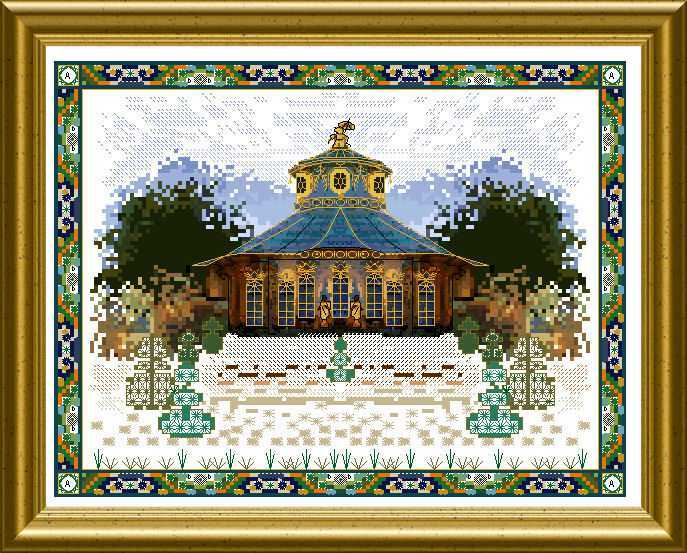 The mere design size is 297 x 297 stitches. 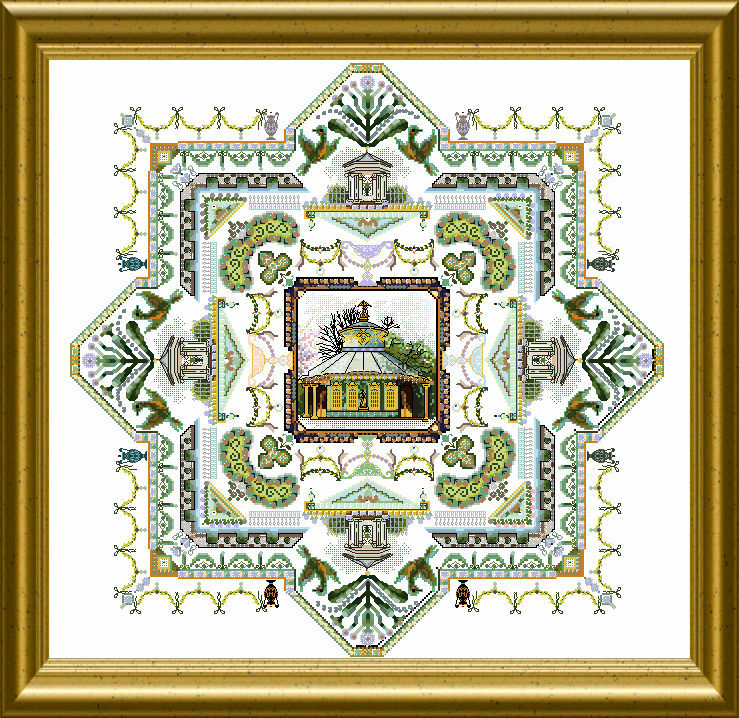 can be stitched as a large piece – wether be it over one !! or over two as well.